For over a decade, Stack’D has been a locally owned restaurant with a serious commitment to serving freshly sourced local ingredients. 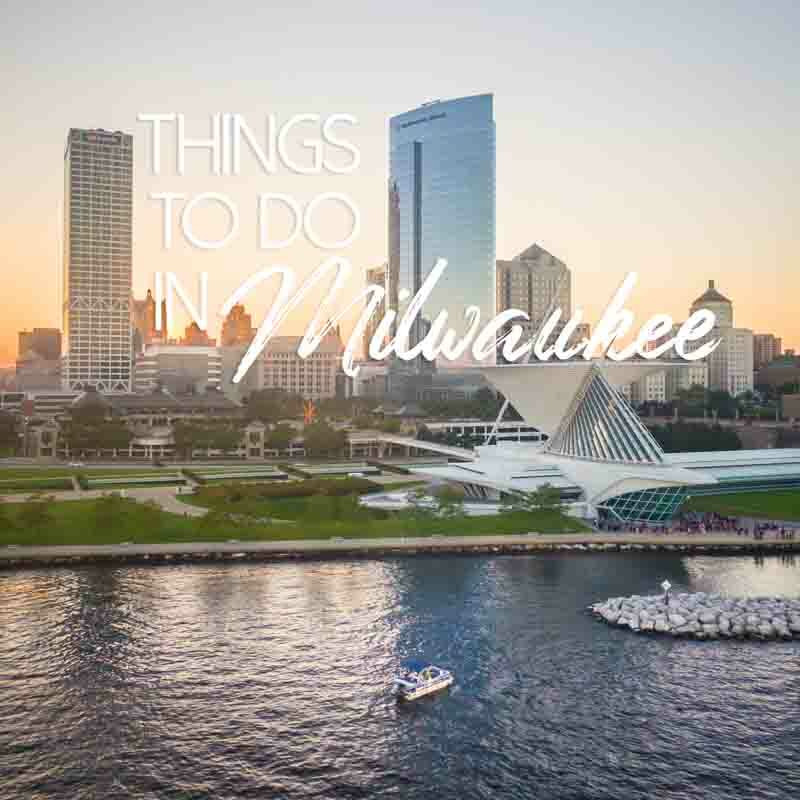 They also were one of the first burger places in the city with extensive ingredient offerings premised around the ability to build your own burger, which quickly set them apart from the competition and garnered them a loyal following who consider it one of the best burgers in Milwaukee! Stack’D is located on some prime real estate situated right between the Historic Third Ward and Walker’s Point. As a result, the restaurant is a popular choice for people who work in the area, and a perfect spot for dinner to cap off exploring everything the Third Ward has to offer, or before hitting a few bars in Walker’s Point. 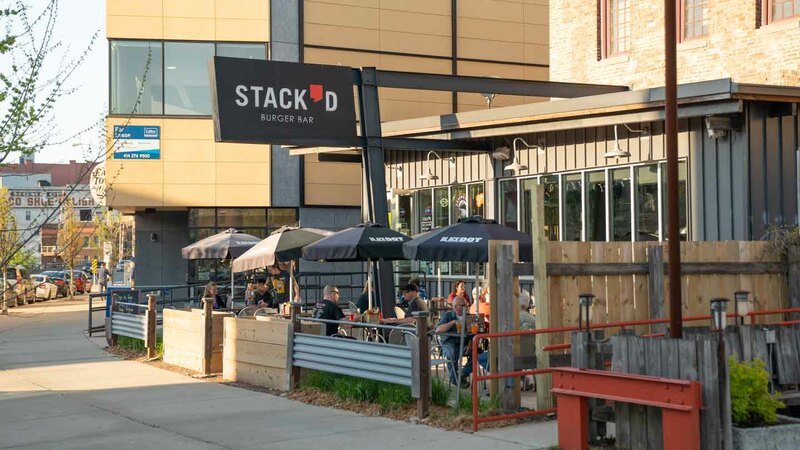 While you may stop into Cafe Benelux or the Milwaukee Ale House for a beer before enjoying a burger, Stack’D also has a great bar with nightly specials. Most people head over to Stack’D to try one of the burgers. The menu offers abundant options of burgers pre-loaded with some awesome toppings. A must-try is The Hangover Stack! This burger comes with a grass-fed beef patty topped with fried onions, bacon, cheddar cheese, lettuce, tomato, and finished off with a fried egg ($14). If you’re feeling a bit more creative, you can always build your own burger. You can start by picking from an extensive list of protein options, including grass-fed beef, bison, an Impossible burger, breaded chicken, or a portabella mushroom. Then you pick a locally sourced cheese, including cheddar, muenster, crumbled blue, smoked gouda, and even a vegan cheese. 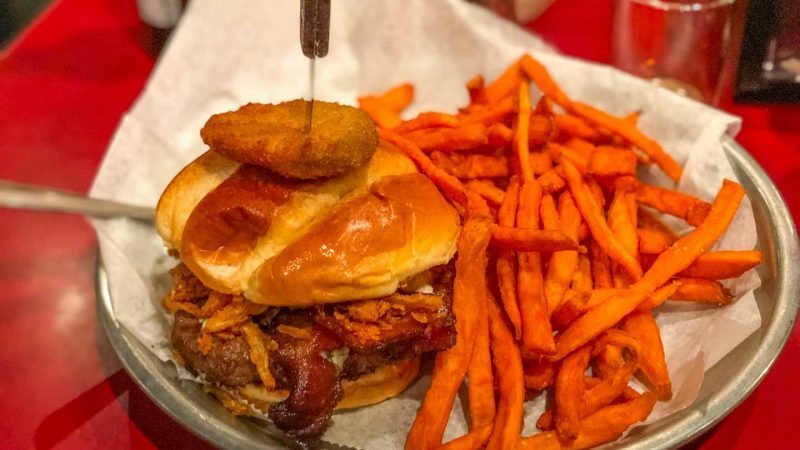 After picking from various bun options, you then finish off by picking from standard and more original toppings, including lettuce, tomato, pickles, haystack onions, jalapeno bacon, and chilli, in addition to a variety of sauces. Finally, you can choose from a number of sides, like fries, coleslaw, mac and cheese, onion rings, and fruit. Obviously, prices vary depending on the burger you decide to build. Although Stack’D is known for burgers, they actually have an extensive menu with plenty of great food options. For example, they offer a daily fish fry, grilled cheeses, and other sandwich options. They also have numerous salad options and delicious appetizers, like handmade jalapeno poppers, served with spicy ranch dipping sauce ($10). Besides for great food, Stack’D has a comfortable bar with plenty of drink options. The bar has over one hundred types of beer, including many local craft beer options. They also have a great seasonal craft cocktail list and numerous bloody mary and mimosa offerings. Especially worth trying are the alcoholic shakes and floats, like the orange dreamsicle with Sprecher cream soda and vanilla vodka ($9). Stack’D features a daily ‘414 Happy Hour’ Monday-Friday from 2pm-6pm with all Milwaukee made beers for $4.14. Address: 170 S. First St.